Steve Jobs, who built the world’s most-valuable technology company by creating devices that changed how people use electronics and revolutionized the computer, music and mobile-phone industries, died. He was 56. Mr. Jobs, who resigned as Apple Inc. chief executive officer on Aug. 24, 2011, passed away today, the Cupertino, California-based company said. He was diagnosed in 2003 with a neuroendocrine tumor, a rare form of pancreatic cancer, and had a liver transplant in 2009. 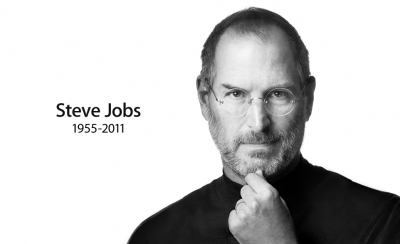 Apple disclosed Mr. Jobs’s passing in a statement. Mr. Jobs embodied the Silicon Valley entrepreneur. He was a long-haired counterculture technophile who dropped out of college and started a computer company in his parents’ garage on April Fools’ Day, 1976. He had no formal technical training and no real business experience. What he had instead was an appreciation of technology’s elegance and a notion that computers could be more than a hobbyist’s toy or a corporation’s workhorse. These machines could be indispensable tools. A computer could be, he often said, “a bicycle for our minds.” He was right — owing largely to a revolution he started. Will Tim Cook Subscribe to Same Principles That Drove Record Revenue, Profit? On his watch, Apple came to dominate the digital age, first through the creation of the Macintosh computer and later through the iPod digital music player, the iPhone wireless handset and more recently, the iPad tablet. With each product, Mr. Jobs confronted new adversaries — from International Business Machines Corp. in computers to Microsoft Corp. in operating systems, to Sony Corp. in music players and Google Inc. in mobile software. Mr. Jobs said in 2004 that he had been diagnosed and treated for a neuroendocrine tumor in his pancreas. After surgery to remove an islet cell tumor, he took a month off to recuperate and declared himself healthy and cancer free. For a few years, he looked that way. He was thinner, which was no surprise after what he’d been through. One person who knew him well said that the cancer scare didn’t slow him down, convince him to spend more time with family or reconnect with friends. If anything, Mr. Jobs seemed to get even more engaged with work, said this person, who wished to remain anonymous because the matter was private. During his 2005 Stanford commencement address, Mr. Jobs described how the inevitability of death was a motivating force in his life. “Remembering you are going to die is the best way I know to avoid the trap of thinking you have something to lose. You are already naked; there is no reason not to follow your heart,” he said. When he took the stage at Apple events, Mr. Jobs joked about his health. In August of that year, Bloomberg News erroneously published an obituary; at a product launch a month later he recited the Mark Twain line that reports of his death were greatly exaggerated. At another event that year, he projected a slide of his blood pressure. In January 2009, Mr. Jobs said that his weight loss was caused by a “hormone imbalance”; nine days later, he began a five-month medical leave, handing control of the company to his chief operating officer, Tim Cook. Later that year, he underwent a liver transplant at Methodist University Hospital in Memphis. In the weeks preceding his resignation, Mr. Jobs was largely housebound, according to a person familiar with the matter.